Extracurricular Activities : Music and Sports. Taking part in local competitions. 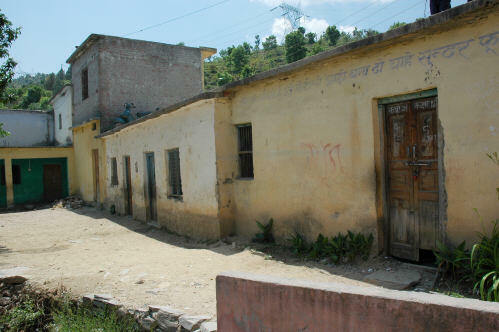 The School of Nakot was opened by some villagers to impart education to their children but the School was not running properly for want of funds. On request of the villagers, the Omkarananda Educational Society started to give financial support to the School from January 1991, resulting in the School now running in a very decent manner from Nursery to Classes V. The School has become a leading school for imparting quality education in this area. 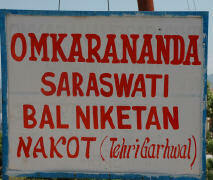 The Omkarananda Saraswati Bal Niketan School is situated at the end of the village surrounded by beautiful natural scenes. The School has a wonderful view of the terrace fields on the one hand and on the other hand of the fascinating mountains. At a distance of 5 km, there is a big Raja-Rajeshwari Mandir. People have firm faith in the Divine power of this Goddess. 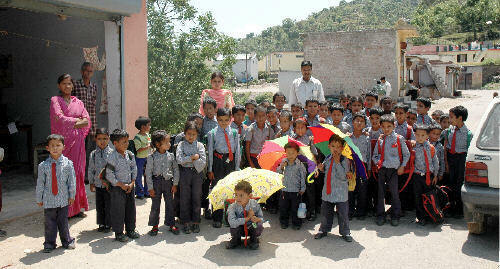 The School is making its all-out efforts for the tremendous development of the child personality. The Management Committee and Teaching Staff are very dedicated and committed to the School's aim. How to reach: On a branch road of the Deoprayag-Khadi Road, 10 km from Gaja.